elping Honduras Kids (HHK) is a non-profit organization that manages a Children's Home (orphanage), caring for 23+ children who have been abandoned, abused and/or neglected on the North Coast of HONDURAS, in La Ceiba. We are looking for sponsors who will help support these children. We also need sponsors for children to attend our Jungle School or high school as well as sponsors for children in very poor rural areas. The needs in Honduras grow greater every day and God is opening many doors of opportunity here in La Ceiba and in surrounding areas. However, only with your support can HHK respond to these hurting people. 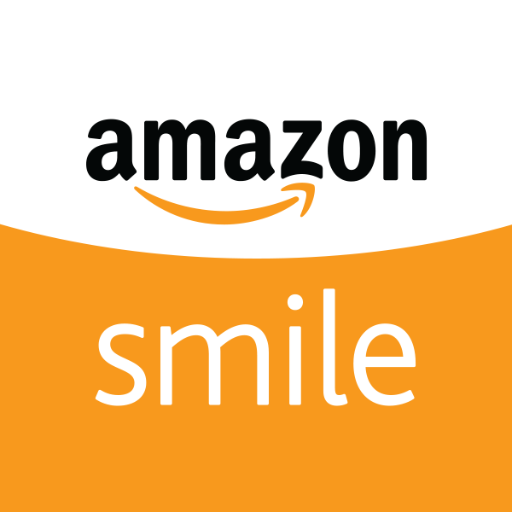 Every gift counts as you partner with us to help abused, orphaned, and neglected kids, and many needy families, school children and communities. HHK has minimal overhead expenses, so most of your donations go directly to helping the children! Many of these children have so little and are in great need. HHK needs your generous donations and support to truly change the life of a Honduran child! Sponsor a child for only $39 per month or a Village for $100 per month. With the help of God, our sponsors, and donors, we are helping to rescue and help orphans, bringing food to the hungry, medicine to the sick, education and school supplies to countless impoverished & illiterate children, and providing for our needs at the Children's Home. 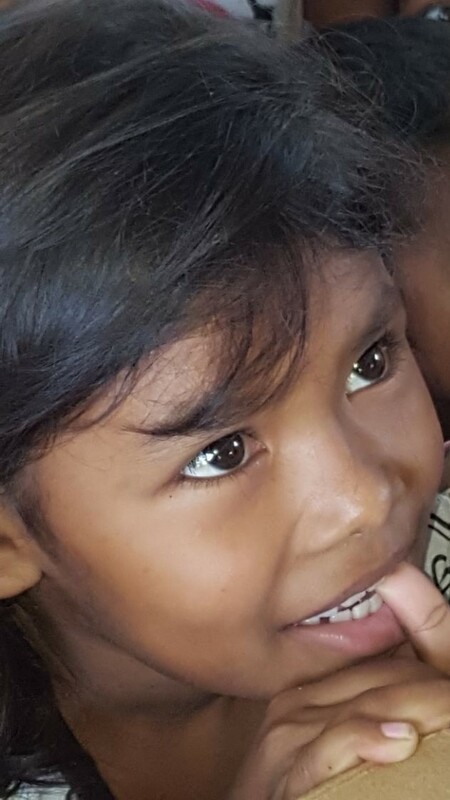 We are also helping over 350 children living in 2 campesino (peasant) villages, where we provide food, clothing, shoes, toys and light medical checkups. In total, HHK is helping >650 children, and feeding nearly 263 daily. It is a 24/7 labor of love. We hope you will help us help them! Visit our Facebook page to see what we are doing and how you can join the fun. Our Board of Directors is comprised of people who have the vision and determination to make a difference in the lives of children in Honduras. They are a volunteer Board that CARES about the welfare of children. HHK believes that love, hope, opportunity and education are what children need to break the cycle of poverty and abuse. 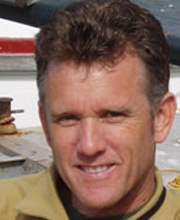 David Ashby worked for Dole Fresh Fruit as a Senior Research Scientist for more than 30 years, carrying out research projects on bananas and pineapples. Most of this time was spent in La Ceiba, Honduras, but David also did research for 1 year in the Philippines and for 6 years in Costa Rica. David is now retired from Dole but still lives in the La Ceiba area and has been active for many years in helping the needy, especially children. Mark founded Pavement Technologies International Corp which, primarily through its websites, sells paving equipment to customers from around the world. Mark and his wife Christina have a 6 year old son, Noah and they enjoy ‘everything outdoors’. 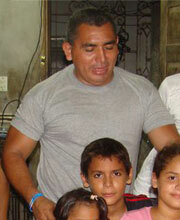 Mark brings his entrepreneurship and 20+ years of business experience to helping the kids of Honduras. “What we do for ourselves dies with us. What we do for others and the world remains and is immortal.” (Albert Pine). Dana Ashby grew up in Honduras and Costa Rica, where she witnessed first hand the cycle of poverty and abuse that affects many women and their children. 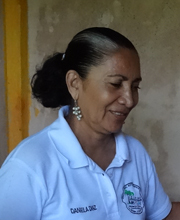 She continues to have deep roots in Honduras through her father and extended family that live there. 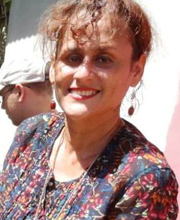 Dana worked on the ground in Honduras with HHK for five years and is very familiar with all aspects of the ministry. She is currently attending Bible College and her passion is to help others come to know Jesus Christ. She currently resides in Colorado and serves as the Secretary. Clint Jernigan is in full-time ministry as a Director of Student & College-Aged Ministries. Clint loves helping people, solving problems, overcoming challenges and showing others how to do the same. He believes to his core that the best way to live is in relationship with Christ. Clint encourages teens to look for God everywhere and allow Him to emerge out of them through their actions and words. He is focused on helping families of teens “do what they do” better and committed to seeing teens and parents grow closer to each other and offering opportunities for families to learn, worship, serve and have fun together. Clint has been involved in ministry for over 15 years and is very passionate about missions. He believes that everyone has a calling to serve others and also everyone has something beautiful and important to offer the world. Clint and his wife, Ashley, have an amazing baby girl named Ansley and a four year old puppy named Harper. 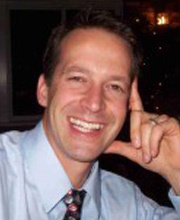 Jim Storbeck is a native of Cedar Falls, Iowa and currently resides in Auburn, Alabama with his wife Alicia and their two children, Paola and Josh. Jim and Alicia founded Initial Outfitters, a home party direct sales company. Through the donation of profits from a specially designed line of personalized lunchboxes, IO sponsors thirteen lunchrooms and an orphanage in Honduras, Guatemala, Mexico, India, and Zambia. Jim supports HHK in a number of ways. 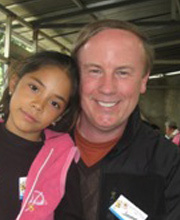 Stewart McClure is the president and owner of Apache Asphalt & Seal Corp. and president of Clear Water Solutions, Inc. With a degree in marketing from San Diego State University, Stewart brings a powerful marketing and sales background to the operations of Helping Honduras Kids. Stewart has also become a stockbroker, and owned and operated several other businesses including an advertising agency, computer software company and a surf wax company. He resides in San Diego, California with his wife and four children. Stewart has been involved in a variety of projects to help families and children in Mexico, Central America, and South America. 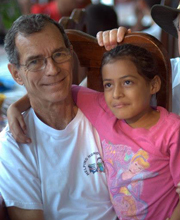 He has made several trips to Honduras during the past 18 years and believes that each of us can make a real difference in another’s life if we only try.